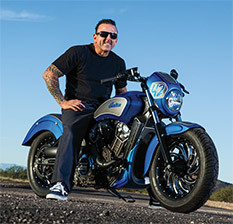 Recognized as “The Risk Taker,” John Shope of Dirty Bird Concepts knows a thing or two about pushing the limits of style. The new Sprint Signature Series and Vantage Series line is no exception. Transform your Indian into a badass race-inspired custom that radiates boldness. Just like the Dirty Bird himself. 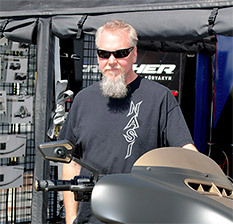 Jim Nasi is a true pioneer of one-off custom motorcycles and components. A brand built on original designs, demanding quality and a passion for creativity; for over two decades Jim Nasi Customs has established a reputation for awe-inspiring concepts, intelligent engineering and clean, unfiltered style.